"Our government started the Bhamashah Swasthya Beema Yojana to free the poor from the worry of disease. Today, its possible to get free treatment at the best hospitals in the state for any number of ailments," Vasundhara Raje, Rajasthan CM. Rejecting poll predictions about the ruling BJP losing in Rajasthan, Chief Minister Vasundhara Raje’s son and Jhalawar MP Dushyant Singh has said her government’s development work will “talk” and help the party cross the “hurdle” of 100 Assembly seats to retain power in the state. “There has been development work happening not only in one district, but in all parts of Rajasthan. 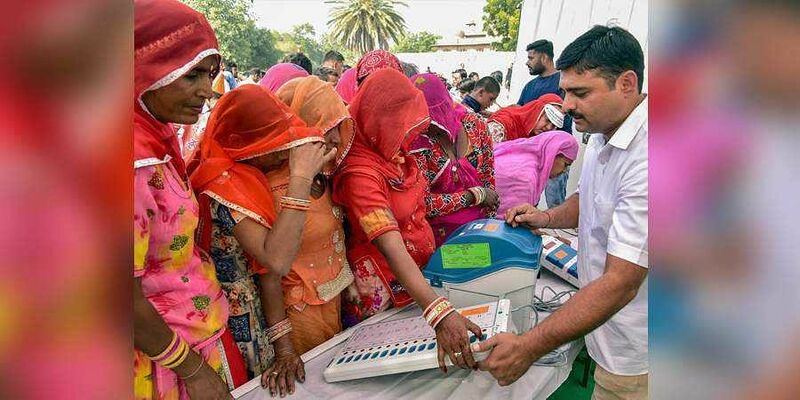 No Central or state ministers will be allowed to enter the counting centres in Madhya Pradesh on December 11, when the counting will take place in the state, said a top election official on Tuesday. According to an announcement from the state’s Chief Electoral Officer (CEO)’s office, the ministers will be allowed entry in the counting centres for those Assembly constituencies only from where are contesting the polls. Citing the Election Commission directive in this regard, the CEO’s office said the security personnel of the ministers will also not be allowed inside the voting centres. Facing flak for the misuse of its platform, WhatsApp on Monday launched its first-ever TV campaign in India as part of its efforts to address the challenge of misinformation and pernicious rumours. The popular messaging platform earlier launched two phases of a radio campaign to create awareness among voters. The first phase of the campaign started on August 29 with ads across 46 radio stations of the All India Radio (AIR) in states like Bihar, Jharkhand, MP, Chhattisgarh, Rajasthan and Uttar Pradesh. The second phase started on September 5 with radio ads across 83 AIR radio stations.